Out of over 400,000 applications reviewed by Bit9, over 70% gained access to at least one high-risk permission. Bit9 analyzed the apps and examined the permissions requested and assessed the potential threat or vulnerability these permissions caused. About one in four apps were classified as “suspicious” or “questionable” based on the permissions requested, category of the application, number of downloads and reputation of the publisher. Bit9 also surveyed a group of IT decision makers in the commercial sector whose IT security policies affect over 400,000 employees. Not only do the apps pose a potential vulnerability, but so do the policies. 71% of the respondents said that employees were allowed to access company networks and data using personal devices, but only 24% of those businesses had any monitoring or controls in place to know if any apps present on the devices were accessing sensitive information. That statistic is rather disappointing given that 68% of them said security was the most important driver of their policies. In the infographic below, Bit9 found over 100 applications with the words “Angry” and “Birds,” but only 4 are from Rovio, the popular apps’ publisher. One of those other apps (among many), “Angry Birds Wallpaper” had access to detailed GPS location services, arguably not needed for such an app to function properly. Aside from concerns this may raise for consumers, the concerns are a magnitude larger for companies as the bring-your-own-device (BYOD) practice gains more and more acceptance. 26% of the apps get access to personal information such as email or contacts, yet 96% of employers allows users to access corporate email on their personal devices and 85% have access to calendar and scheduling. One of the more interesting statistics out of the report is that while these companies seem to allow Android devices on their corporate systems, they also rank their perception of Android’s security as less than iOS or BlackBerry. Does your employer let you BYOD? If so, does the company place an IT policy or control on it to prevent unwanted applications from trying to gain access to personal information that might be linked to more sensitive data? I got to watch out with my Galaxy Note, I may need a Nexus to keep away from all these virus or move to Nokia 920, or finally make my first apple purchase, I cannot lie they make a great product too. The only thing holding back from apple phone is the screen, if it was bigger I would check them out beside Nokia 920. I do not go on XDA or mess with my phone, so those features do not appeal to me over android, its just their screen size. You make zero sense - how is your Note more susceptible than your Nexus phone? 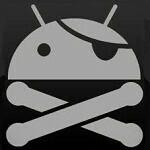 I have been on XDA for over 4 years, since the days of Windows 6....never had an issue with their developers...you should check it out. Just read the entire study. Seems interesting that the same number of people with a jailbroken iPhone and a rooted android device was 16. Over 100 people had an iOS device and 93 had an android device. But android don't sent email to cancel business meeting without your concern. i actually agree... being close source is really ok coz your data is secured... while being open source has risks but at least you are enjoying yourself with it! i think i remember a post here in PA that android being open has risk and so is iOS being close... but on data, apple is secure, while freedom you have android! you know what they say... you get what you pay for! You can see the permissions before you download and use the app. With apple...well -http://www.phonearena.com/news/40-of-iOS-apps-invade-your-privacy-without-permission-reveals-app-before-getting-pulled_id32483 Just have to use common sense. No different than the health care scams on senior citizens going on in Florida, or someone knocking on your door asking for money - always be wary, suspicious and ask lots of questions. Old news, phonearena, but nice graphic.